Here you can download all of our product Brochure in the PDF format. To view the PDF documents you need the Acrobat Reader which is available for free and is likely installed on your computer by default. Resistance welding is a group of welding processes which create joining of metals with the heat (Q) obtained from resistance(R) of the work to electric current (i) in a circuit of which the work is a part, and by the application of pressure(P), where t means weld time.The important variables that affect weldability include welding current, electrode pressure, and the weld time. The welding current directly affects the nugget size, which is a factor that requires good management to maintain superior welding quality. The electrode pressure and the welding time do not affect weldability as much as the welding current. The electrode force is determined by the type of steel or its thickness, and the weld time, in general, uses 12~15 cycles. Resistance welding is divided into resistance spot welding, resistance seam welding and resistance projection welding, depending on the type of the welded part. Resistance spot welding uses a tip-shaped electrode and welding is performed in the form of a spot. It is the most widely used resistance welding process. Resistance seam welding uses a disc-shaped electrode that can revolve, and is used to perform continuous welding on a partwhich requires airtightness or watertightness. On the other hand, resistance projection welding centralizes current or pressure through the use of the projection formed on the steel sheet, and it features high productivity because two or more spots can be welded simultaneously. The costs of resistance welding are low while the quality of the welded part is excellent. For this reason, it is widely used on automobiles, home appliances and general machine parts. Furthermore, as the welding process is simple with fast production speed, it is an important process in the sector where mass production is needed, such as the production of automobiles. On the surface of the metal material, contact electrode, pressing and making a flow of high current for a settled time, and it uses the electronic resistance existing in the contact surface in order to generate a high level of heat and it puts together the materials by making nuggets, which is melting joining. Q : Caloric value (Cal). I : Current (A). R : The contact resistance between materials (Ω). T : The time of applying an electric current (sec). 2. Important factors of resistance welding. 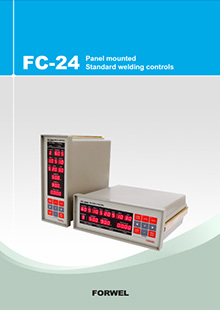 - The caloric value is proportionate to the square value of current, it has the most huge impact on welding. - Nugget is generated by the current density in the contact surface, it is needed to heighten the current density. - In case generated too excessive current density, it will cause a overheating and a deformation in the part of melting. - The damage of surface caused by excessive current, creates sloppy and blowholes so that it lessens the depreciation of its degree of strength. - It is the physical force which is applied through cylinder, it has some effect on the formation for the resistance in contact surface. - The value of applied pressure is in inverse proportion to the contact resistance. 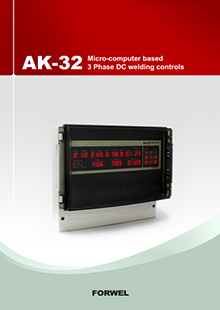 - It prevents the welding parts from sectional heating, and leads to the same result of welding. - In case applied pressure is high, the contact resistance is relatively low. Consequently, Due to the lack of the generation of heat, It will cause the depreciation of its degree of strength and too many of excessive welding tracks. - It is the time of the welding time. It is proportionate to the caloric value. - Excessive welding time will cause the overheating around the contact surface which is caused by thermal conduction, and the basic material will be inflated and transformed. - In case the welding time is shorter than normal, Due to the fact that selectional part will be melted, the degree of strength will be poor. 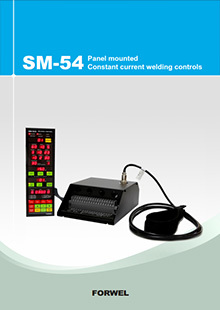 - The quality and shape of the electrode has a tremendous effect on the result of welding. 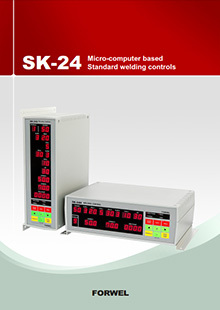 - It is required to have a high level of thermal conductivity and electrical conductivity. - Due to the fact that it will be transformed, it will cause the change of the current density and the applying pressure. 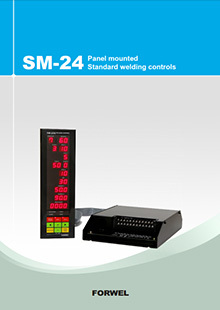 - It is advisable to decide the time of replace and maintenance in order to keep the good welding quality. 5) The surface condition of the material. - Once the material is decided, there will be change of contact resistance due to the oxidized clinker or the tiny unevenness in the surface of the metal. - Due to the oxidized clinker, the tiny unevenness and a foreign substance, the resistance will be high and be the cause of sectional overheating. - In order to heighten the productivity in the same condition of Welding, it is important to manage the consistency of the welding material and the surface of the material. 6) The wave form of welding current. - It is the factor which decides the temperature distribution(the heatingprocedure and cooling procedure) during welding. 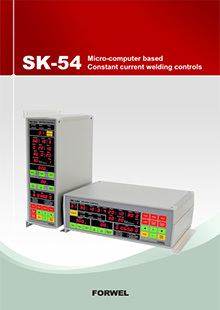 - It is required to have a wide range of waveforms according to the quality and shape of the material. - The inappropriate waveform will cause the deformation and scattering, it will be difficult to get the high quality of the welding results.